Charlie Lee, the creator and founder of Litecoin, made a number of bold price predictions over the past few years. These predictions have had startling accuracy. Among his predictions, he accurately forecasted the bottom for LTC and also infamously sold his holdings near the top of the 2018 bull market. Litecoin is a cryptocurrency that aims to be a medium-of-exchange counterpart to Bitcoin’s proposition as a store-of-value. So much so that Litecoin is oftentimes colloquially likened to silver and Bitcoin to gold among crypto-enthusiasts. On May 8th, 2017, Litecoin was the first major cryptocurrency to implement Segregated Witness (SegWit). SegWit mitigates a blockchain size limitation problem that reduces transaction speeds and also laid the groundwork for Lightning Network. I figured out what LTC price* will be when we have activated SegWit! At open on Apr. 3rd, the day of the tweet, Litecoin was trading at $7.74 per coin. With a final prediction of $14, his forecast was expecting an 81 percent increase in the price of LTC. Two days later, On Apr. 5, the coin closed above $11. On May 10th, the day of SegWit’s full implementation on the Litecoin network, it closed at $31.96—far above what he was expecting, with the price increasing over four-fold. I agree. I think we are at the bottom or close to it. By the next day, bitcoin hit its bottom just below $3,000. BTC has not traded at such a low price since. If $LTC bottom was $22 (which i highly doubt), @SatoshiLite will be considered the best positional trader in my book. Literally sold the top in December 2017 and told people not to buy if they couldn’t handle a drop to $20. Shortly after his tweet predicting Litecoin’s bottom at $20, Lee also announced that he sold his entire LTC holdings—almost perfectly predicting Litecoin’s bull market peak. The ‘Flappening’ is a play on words on the previously anticipated “flippening,” where Ethereum would overtake Bitcoin by market capitalization. The Flappening is where Litecoin would overtake Bitcoin Cash in the rankings, with BCH outranking LTC for several consecutive months. 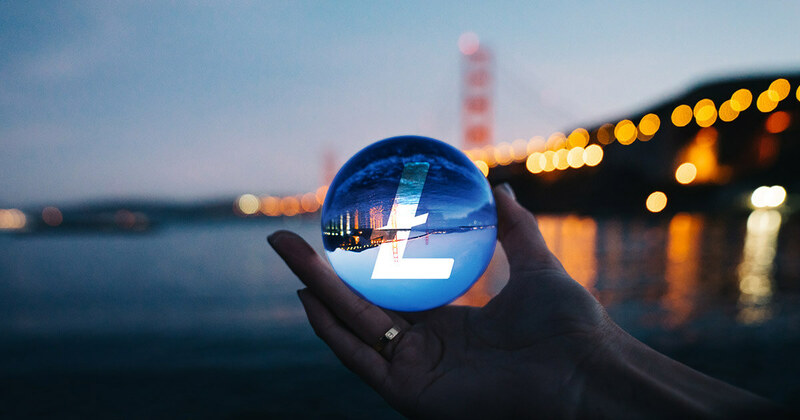 Litecoin enthusiasts adopted the terminology by embodying its founder, Charlie Lee, into the term–Lee’s online nickname and persona as the ‘Chikun’ makes the vernacular appropriate. And, in December of that same year, the “flappening” occurred following the Bitcoin Cash hash wars where BCH split into Bitcoin Cash ABC and Bitcoin SV, significantly devaluing the coin. Following his tweet, Litecoin rebounded from its $22 low and has not traded at a lower price since. These are only a limited selection of the predictions that Charlie Lee has made. Unlike other pundits who assert that they can predict the price of Bitcoin or see into the future, Lee doesn’t make those claims. And, the times he does make predictions he often does so with astounding accuracy. If his track record tells investors anything, the Litecoin founder’s advice “don’t bet against Charlie Lee” seems sound. Litecoin, currently ranked #4 by market cap, is up 6.39% over the past 24 hours. LTC has a market cap of $5.71B with a 24 hour volume of $3.9B. Litecoin is up 6.39% over the past 24 hours.